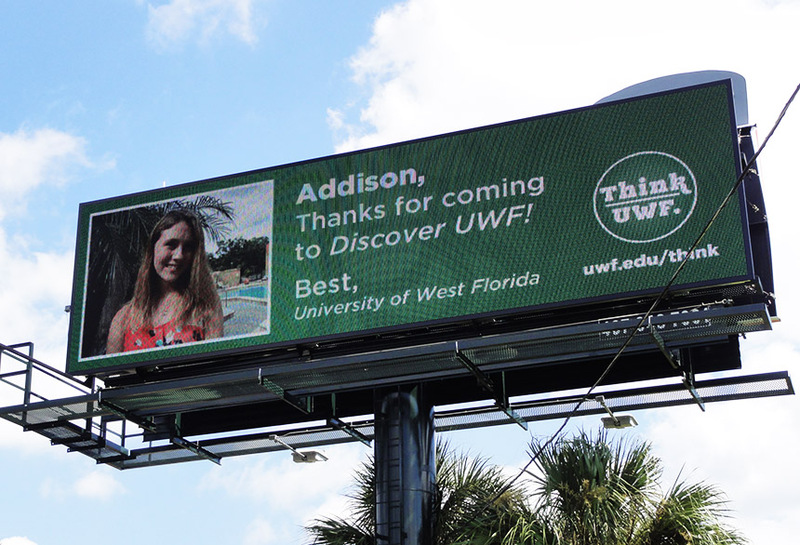 The University of West Florida used Lamar digital billboards to promote their school locally and encourage applications. The creative would change with different images and names thanking high school students for visiting their campus. This campaign generated much excitement and hype in the community as students saw themselves on the billboard.